A growing collection of more than 850 titles for learners of all levels and interests. It includes helpful guides, general encyclopedias, dictionaries, thesauri, atlases as well as titles focusing on health, hobbies, cookery and children’s reference – ideal for supporting homework. Also included are nearly 2,000 short reference videos, over 475,000 high-resolution art images, photographs, and maps across all subject areas. Usage statistics are available when you log in to your admin account. Download promotional materials from the Credo Toolbox. Credo does not currently have a separate app or mobile version of our platform. The Credo Online Reference Service platform has mobile-friendly responsive design, so you can access on any web-enabled device and the platform will recognize and respond to your screen’s dimensions. How can I update the library links within my account? These links can be managed through your Admin account, under the Customization tab > Add Your Logo or My Library Links. How can I export a PDF of or print out Credo content? 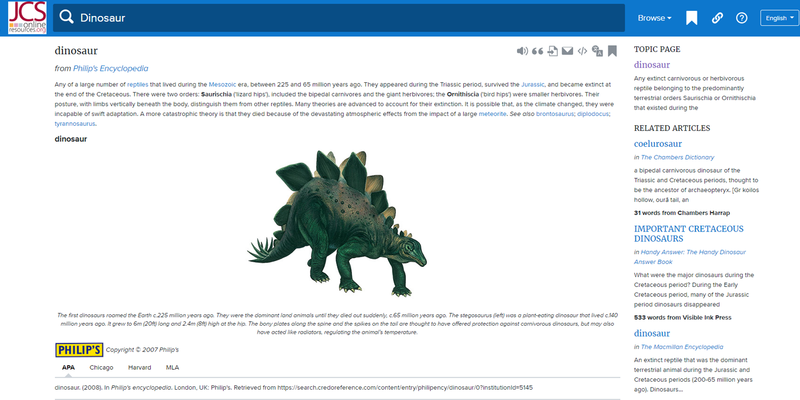 All entries and Topic Pages can be exported as a PDF by clicking the printer icon in the menu just above the article, or next to the article in your search results. You can then print the PDF using Adobe’s print menu. To generate a PDF of multiple entries at once, save the entries to your saved results page using the disk icon, then go to the saved results folder icon in the top menu. Select “Action: Print PDF” and choose “Format Options: Full Text.” This will combine the articles into a single PDF for printing. Please note that the PDF of a Topic Page will include only the main article and definition (where present), not the related Topics or other library content. Other Credo materials, such as complete books, the search results page itself, or the Mind Map, are not exportable to PDF. Credo has created subject-specific landing pages, or “Topic Pages,” for over 11,000 topics, including key historical figures, controversial ideas, and world-changing events. 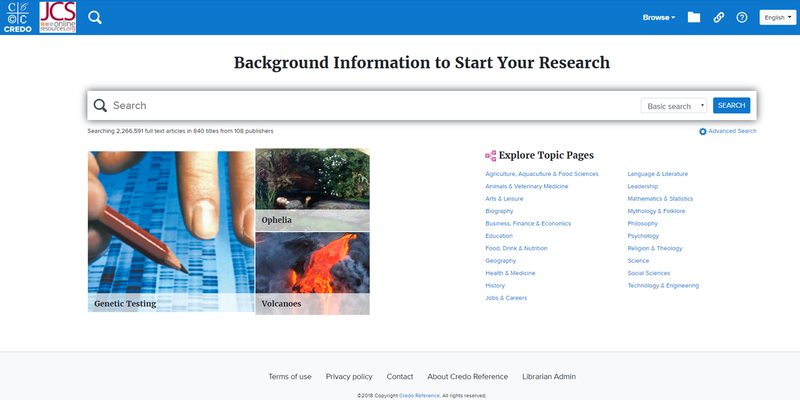 These pages are intended to serve as a “one-stop shop” for your users’ background research needs. 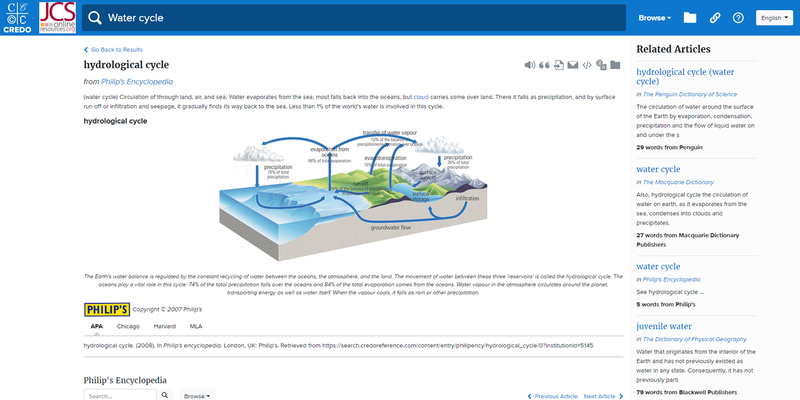 How can I see if my students are using Credo Topic Pages? This report allows you to see what Topic Pages your patrons are using. Change the “Show top 20 topics viewed for each period” to 100 or 1000 to see the whole list. You’ll see the name of the Topic Page, a link to the page, and the number of views for the period. This report will tell you which of your Topic Page targets patrons are clicking into. You’ll see the name of the third-party resource and the number of uses. You can access the “Find a Book” page from your Credo account’s homepage; you can browse or search by title there. If you are an Administrator of your account, you can view and export your title list on the “Collection Management” tab of your Admin account. How does Credo’s search function work? Credo’s search and search-result ranking use factors such as where the search term is in the entry, how long the entry is, and what type of book the entry comes from. May I reuse Credo content and images on my library’s website? We encourage libraries to link to Credo content, and to excerpt Credo content and images on their library pages with proper citation. Full reproduction of entries, such as uploading PDFs, is not permitted. Click here for full terms and conditions. Credo content can be excerpted, and images can be reproduced, for academic or personal purposes. Entries and images should have Credo citations. Commercial, systematic, or non-cited reproduction of Credo content is not permitted. Click here for full terms and conditions. Go to admin.credoreference.com, or click the Admin link at the bottom of any credoreference.com page. If you are an authorized admin, you can contact support@credoreference.com for your Admin log-in.